Registered in states: KY, IN, NE, VA.
Patrick Nall is a Principal of DKN Architects whose business and architectural expertise was developed through leadership on design teams for various project sizes. His ability to view project and process issues from the perspective of the developer, owner, and user is one of his crucial assets. After graduating with undergraduate and professional degrees from Ball State University, Patrick worked at Bickel Gibson Architects, Weber Winn Architects, and The Estopinal Group prior to joining DKN. As DKN’s Principal in-house LEED® Expert, Patrick’s sustainable design experience has been earned by developing, designing, building, and documenting the DKN Architects Headquarters at 716 East Market Street. The building Recieved the LEED® Certified distinction in 2007, the first of its kind in the downtown Louisville Business District. 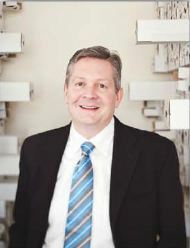 Patrick currently serves as Vice- Chair of the Kentucky chapter of the United States Green Building Council (USGBC). Since implementing the development of the firm’s Certified offices in 2007, Patrick has led the propagation of many more successful LEED® Certified projects.